Carmel, California, is one of the best places in the country to have a dog-friendly vacation. 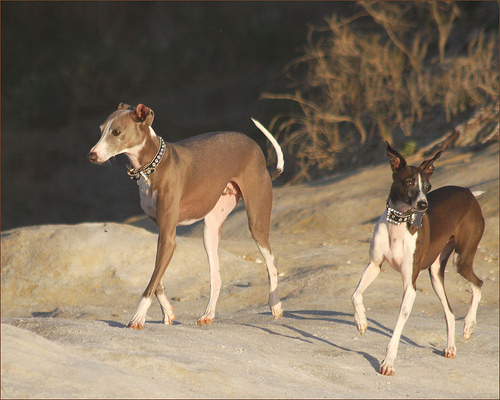 Not only is there a wonderful off-leash beach, but there are plenty of other outdoor attractions like walking tours, drives and hikes. This is a two-hour walking tour of Carmel, and it takes people through the magical ways of this city, by means of hidden pathways and interesting courtyards. It will explain some of the local artists and writers, as well as take guests to some movie locations and famous buildings. Humans are $25 each to take this tour, but leashed dogs can join for free. 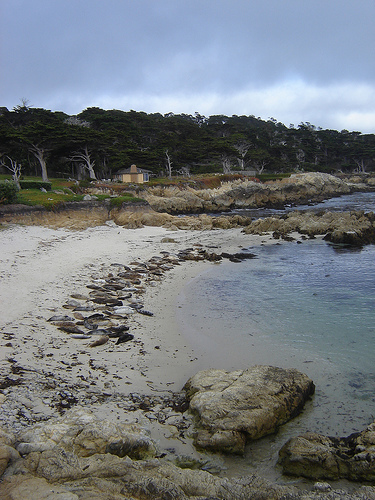 The Seventeen Mile Drive is between Carmel and Pacific Grove. Though there is a toll for cars, it is a very scenic drive that takes people through beautiful beaches and golf courses, as well as by mansions and cute restaurants. Dogs may join in cars for this drive, but must be leashed if they want to exit the car. 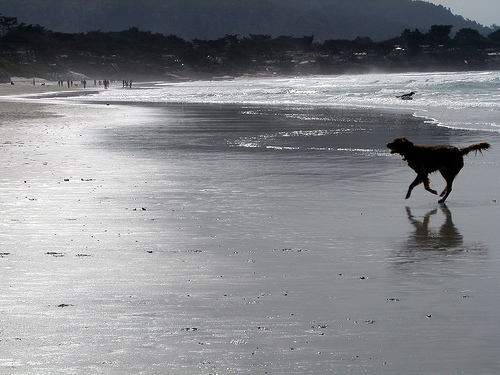 Carmel City Beach is always rated as one of the best off-leash beaches in America. It is located on Ocean Avenue, and is a large, clean beach full of white sand and scenic views, and waste bags are provided. As it is a very popular spot, make sure your dog is social. The Carmel River State Beach is located to the south of Carmel, and is a one-mile stretch. Dogs must be leashed to go on this beach. The Garland Ranch Regional Park is about 4,500 acres in size, and there are a variety of landscapes of all different elevations. Some of the area includes canyons, redwoods, woodlands and creeks, as well as a variety of birds and other animals. There are numerous hiking trails, and dogs are allowed to explore this park with their owners if they are on a leash that is less than 7 feet. The Allegro Gourmet Pizzeria serves pizza and other Italian specialties, such as salad, pasta, paninis and wine. Dogs may sit at the outdoor tables. Forge in the Forest has American cuisine options, with many meat and vegetarian dishes. They also serve a variety of local wines. Dogs are allowed at the outdoor tables. The Casanova Restaurant is themed after small country inns of France and Italy. They serve fancy breakfasts, lunches, dinners and desserts, and have an extensive wine cellar. Dogs may be in the outdoor dining section of this establishment. Carmel is the most dog friendly city we have ever visited! We go often, sometimes just for the day, when it is possible, we spend the week end, mostly @ Doris Day’s CYPRUS INN….FABULOUS!! The beach @ the end of town is all our dog’s favorite, the restaurants great..try the crab corn chowder @ PORTABELLO right off Ocean Ave, dog friendly patio, but it is a little small for our Irish Wolfhounds…RIO GRILL great casual dining..& on & on & on!!! But shhh! don’t tell anyone!